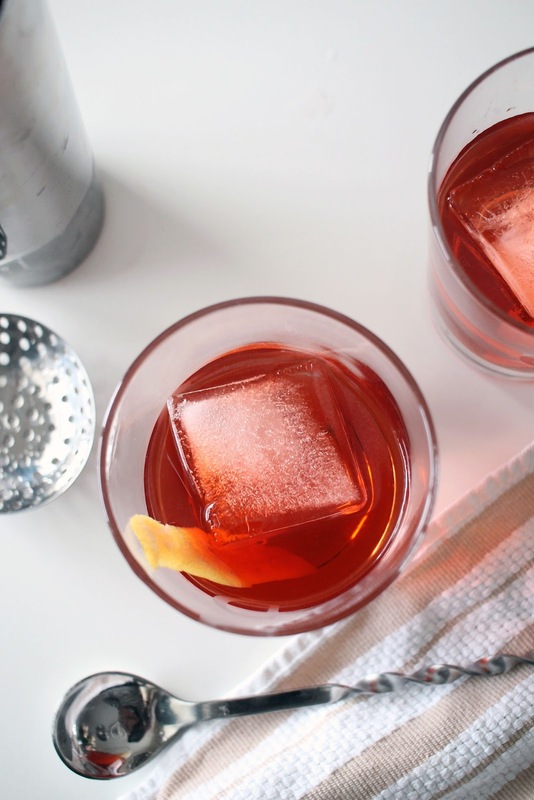 The negroni has quickly become one of my favorite cocktails. 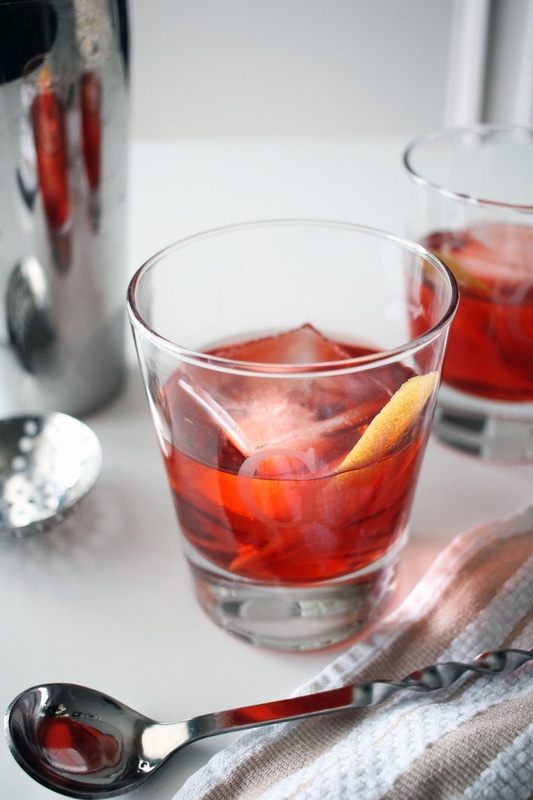 The mixture of gin, Campari, and vermouth have a nice warmth in the winter. 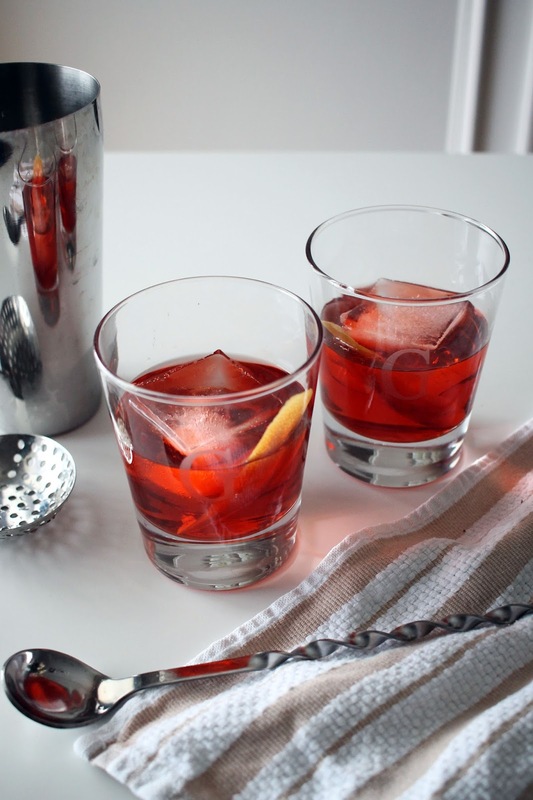 They are easy to stir together for a quick cocktail hour or after dinner drink. I like to enjoy mine at home with a cheeseboard, but it will go with just about anything. So, let's raise a glass to the fact that it is Friday and Monday is Lead Day. I'll be making this cocktail my Lead Day beverage of choice. Cheers, y'all. 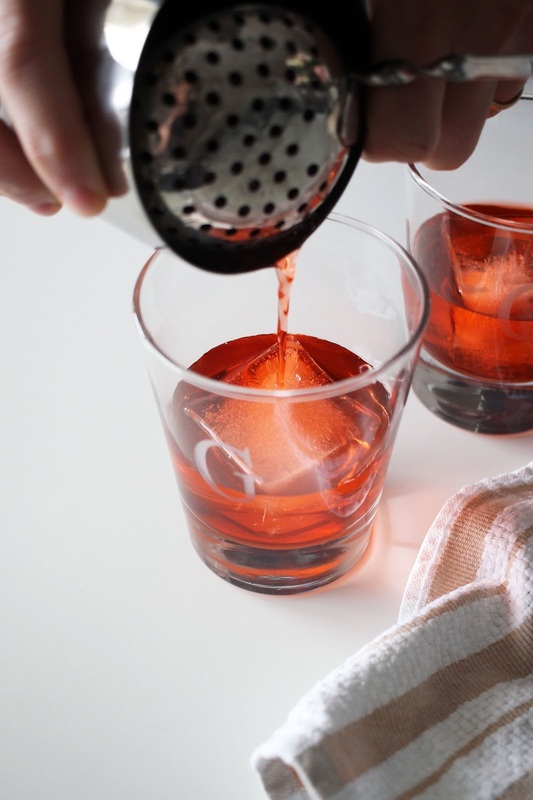 Combine gin, Campari, and vermouth in a cocktail shaker filled with ice. Stir mixture gently until chilled. 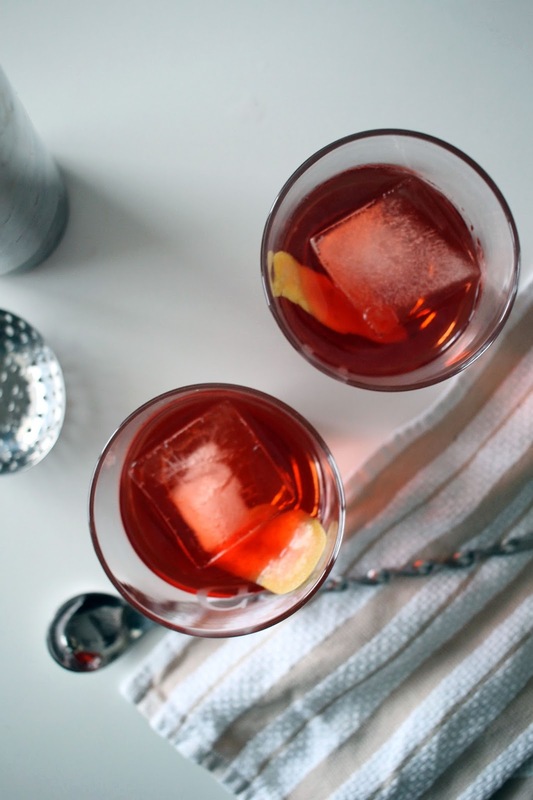 Pour into two lowball glasses with ice. Run the grapefruit peel along the edge of the glass and us as a garnish. Cheers. After spending a long weekend skiing I am more than ready to welcome spring. 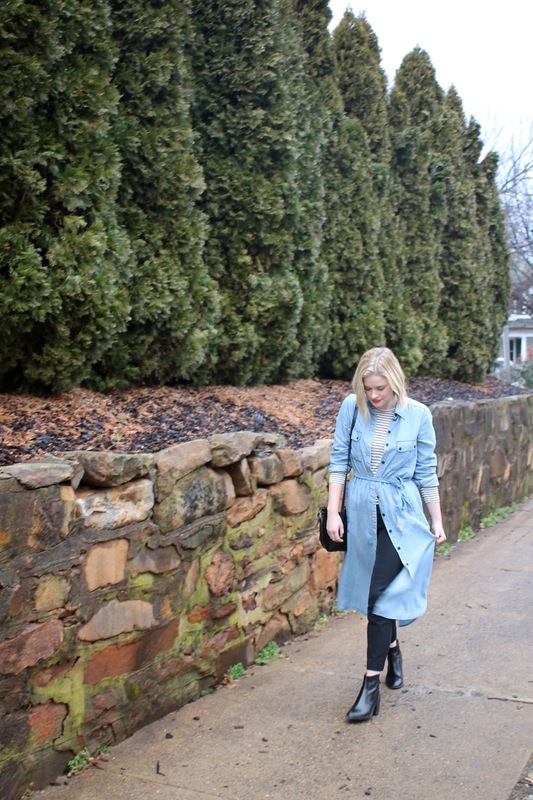 The last week has given Charlottesville a glimpse of warm weather, and I am ready to commit to my spring wardrobe. 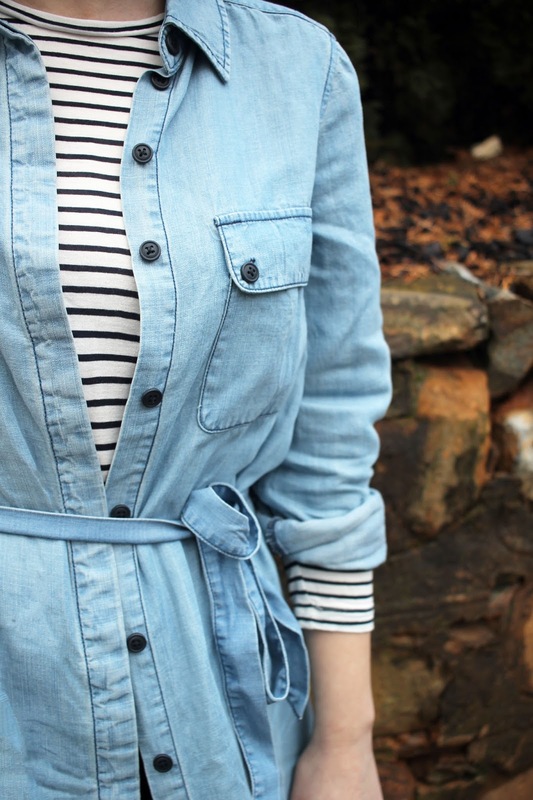 I picked up this denim dress a few weeks ago. I would love to wear it with heeled sandals, but unfortunately it is still a little too cool. 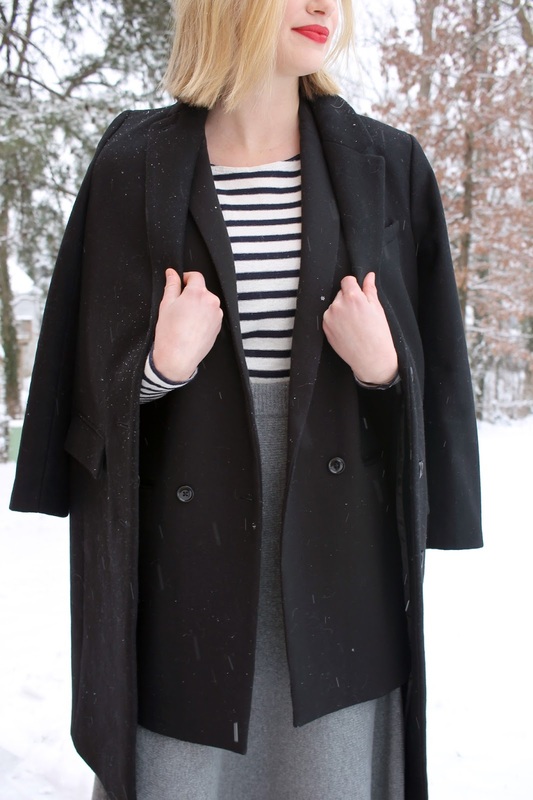 Until then, I will be layering over slim pants and a striped shirt to hold me over until spring. I spoke a few weeks ago of my love for mules, and this recent warm weather has me dreaming of the sandal version. They are the perfect mix between dressy and casual. Slip them on with a spring dress or where them now with jeans and a sweater. 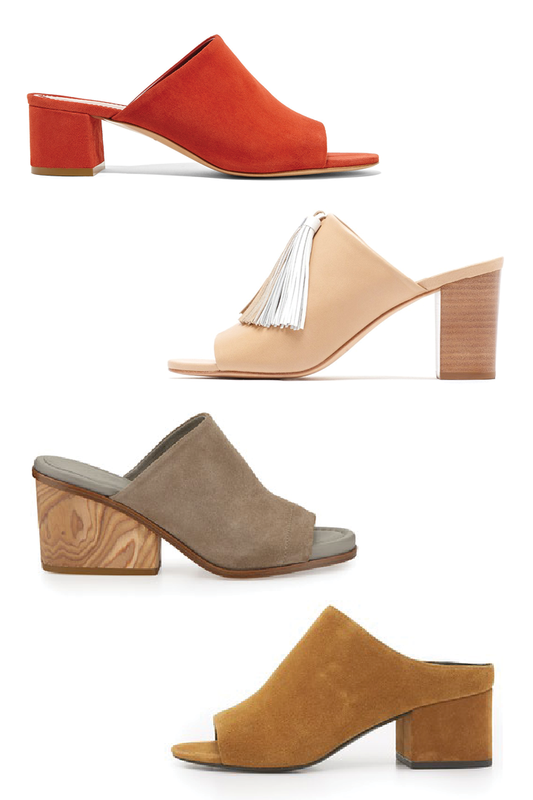 I have my eye on this suede camel pair for spring, but I will gladly take any of them. Which pair would you wear this spring? When the temperature drops below freezing I find it hard wearing anything other than pants. Because lets be honest, tights offer very little warmth. So when I'm shopping for skirts in the winter, warmth always tops the list, and this sweater skirt fits the bill. 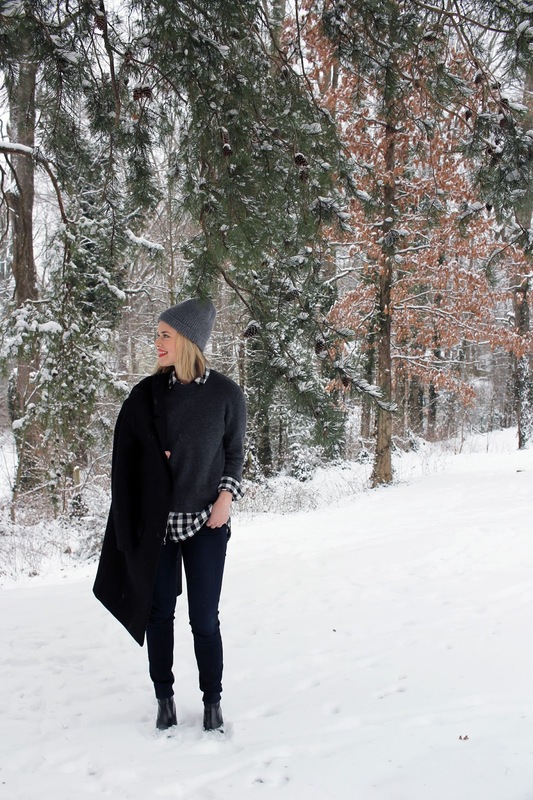 The midi length offers ample coverage from the cold while still looking stylish. Paired with a striped shirt and vest and I am ready to face the cold reality of February. 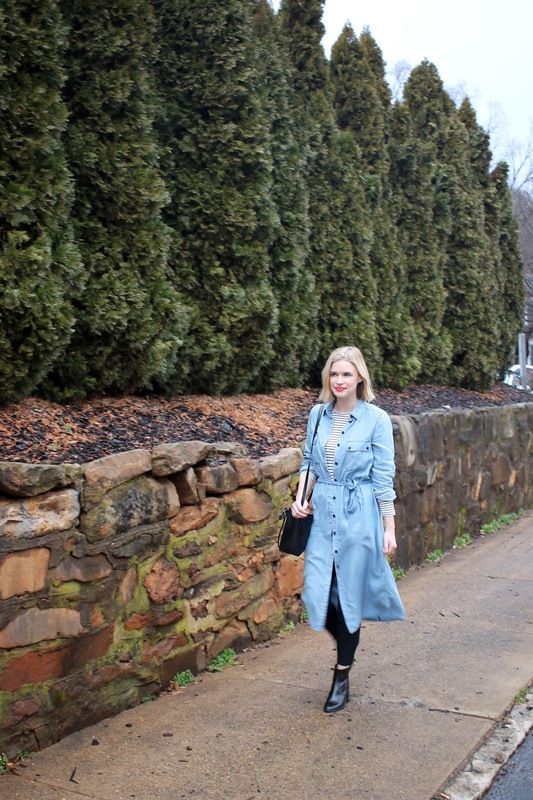 I've spoken of wardrobe staples before: trench coats, skinny jeans, ankle boots. These are the workhorses of your wardrobe, and almost nothing gets more wear in my closet than a classic white button down. I layer them under sweaters in the winter and through them on with jean shorts in the summer. 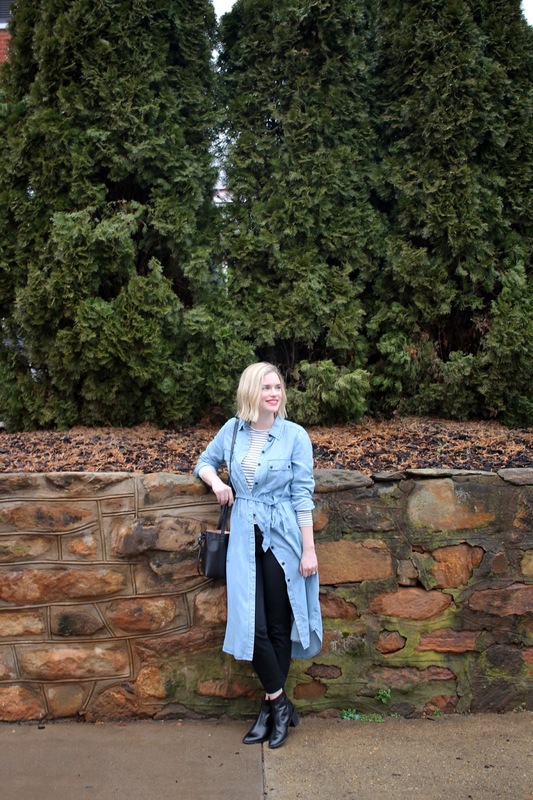 There are a variety of styles and fits to choose from, and right now I am loving the slightly oversized, boxy fit. This fit removes any stuffiness you may think of while wearing a button down. This top from M.i.h. is on the top of my list for spring. The longer hem will look great with skinny cropped pants and a trench coat for an easy spring outfit. Plus, you can never have too many button downs. 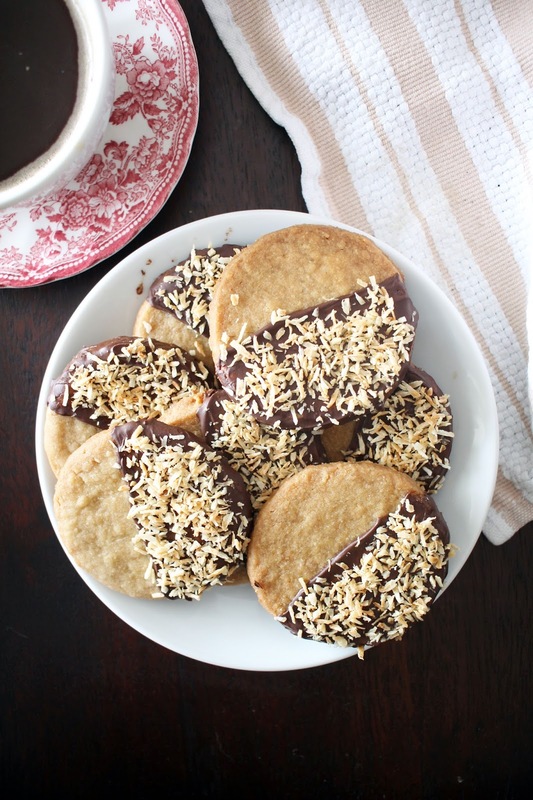 There are many reasons to love shortbread cookies. 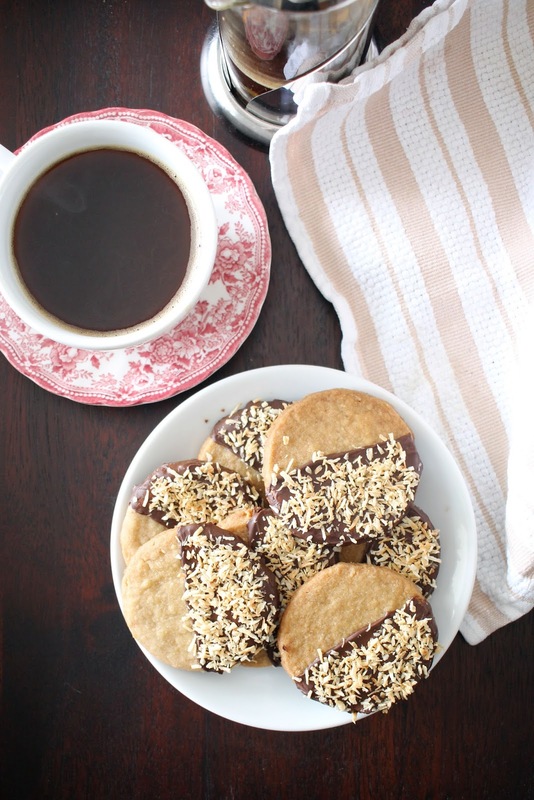 The crumbly texture, hints of vanilla, and simplicity all top the list, but their ability to take on a variety of flavors is my favorite aspect of this classic cookie. I've made them filled with jam and rolled in coconut and have stuffed them with pecans, but adding toasted coconut and dipping them in chocolate is my new favorite way to indulge. 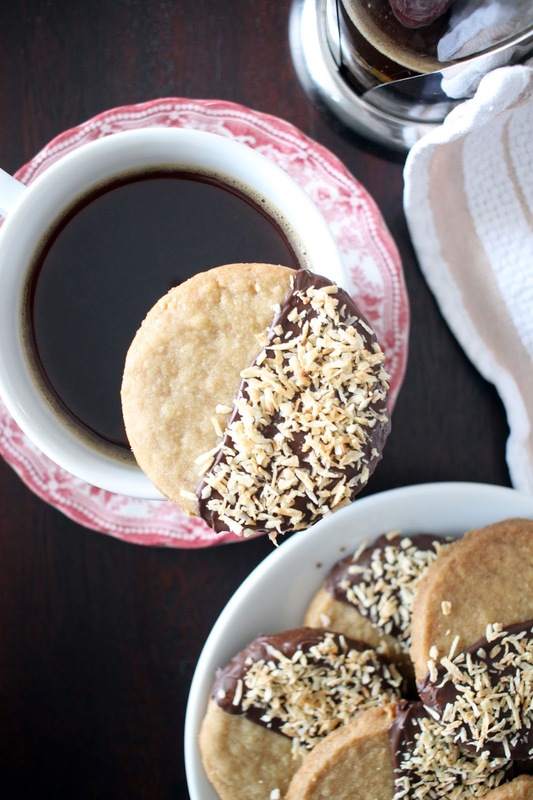 The dark brown sugar and toasted coconut bring out a subtle nut flavor while the chocolate adds a bit of richness. 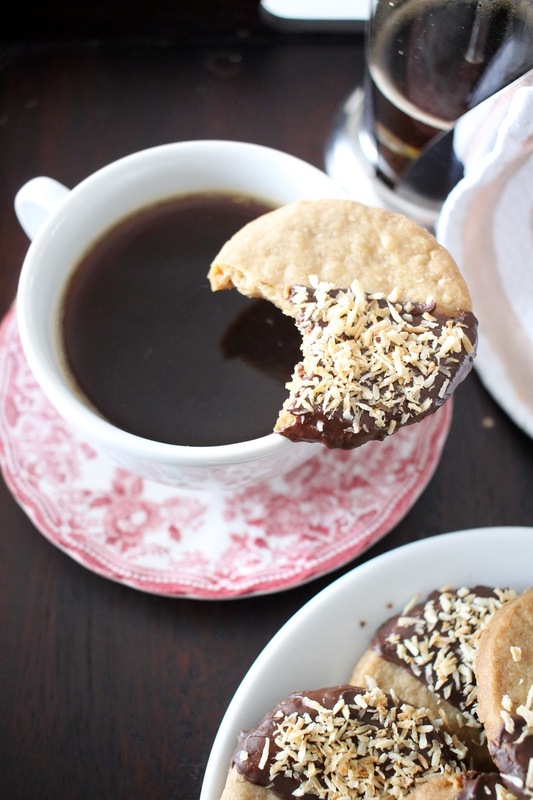 These were the perfect treat for our snow day served alongside a french press. The chocolate coating dose require a little patience, but I promise it is well worth the effort. Preheat oven to 325 degrees. Place unsweetened coconut on a rimmed baking sheet. Bake coconut until lightly golden brown for around 5 minutes. Stir coconut halfway through to ensure even browning. Set aside and allow to cool. Place butter and sugar in a stand mixer and beat for 2-3 minutes until mixture is light and fluffy. Add in salt and vanilla and mix until combined. Mix in flour in 2 batches. Once combined, stir in 1/2 cup toasted coconut. Remove dough from mixer and flatten in to a disc. Wrap in plastic wrap and allow to cool in the fridge for at least 1 hour. Once dough is chilled, roll out dough on a lightly floured surface in to 1/4 inch thickness. Use a 2 inch cookie cutter, or whatever you please, to cut dough in to rounds. Keeping doing this until all dough is used. Transfer cookies to a baking sheet and bake for 13-15 minutes until edges begin to brown. Transfer cookies to a cooling rack. Meanwhile, melt chocolate in a microwave proof dish for 30 seconds. Stir chocolate to ensure even melting and continue this until chocolate is completely melted and glossy. 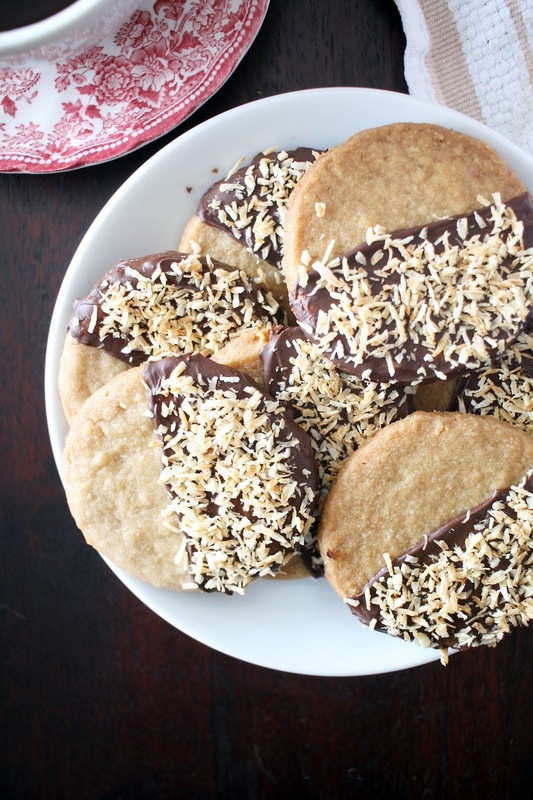 Using an offset spatula, cover half of the cookie with chocolate and sprinkle with remaining toasted coconut. Allow chocolate to harden before eating or storing. Over the last few years blogging has always come to a bit of a halt once the calendar marks February 1st. I know I should see this time as an awakening in winter, but it is hard. The days are noticeably longer, Valentine's Day brings a jolt of color, and we always take a ski trip. But, the days are still bitterly cold which means we spend a lot of time cooped up indoors. It feels more like the start of hibernation rather than the hopeful end of winter. We were treated to a unexpected snow day yesterday. After a few hectic weeks at work a day of spent enjoying the snow was just what I needed. 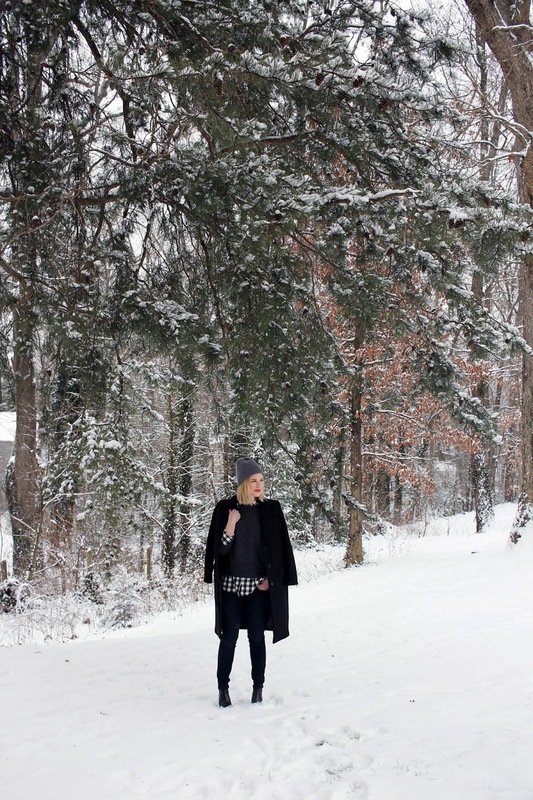 My trusty buffalo check shirt kept me warm while I ventured outside to make a few snowballs. 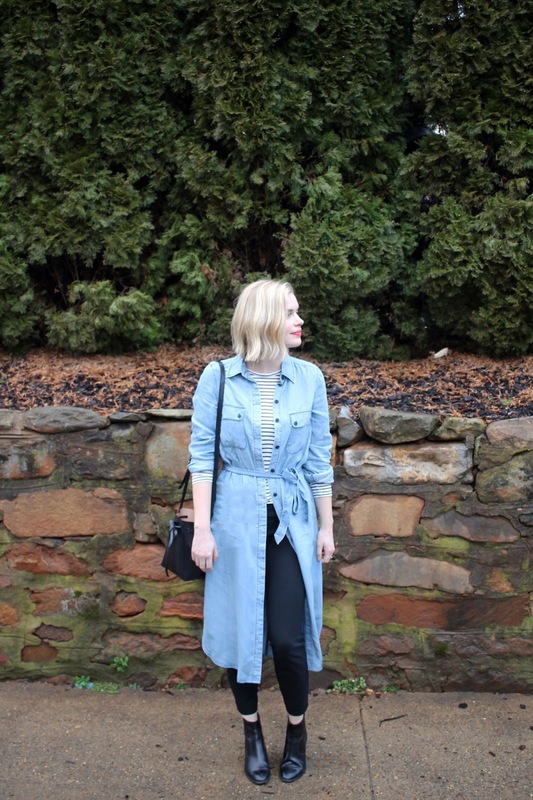 I'll be glad when the snow melts and I'm no longer confined to wearing boots every day, but since that time is no where in site I will try to enjoy out final winter in Charlottesville.